The Ormskirk Baron: Looking forward to baron rating Salopian Brewery ales soon! 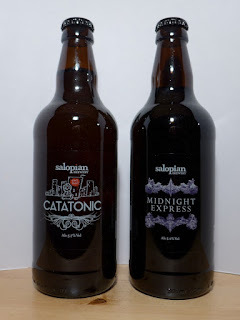 Looking forward to baron rating Salopian Brewery ales soon! December brings two new Salopian beers to Baron Towers (what a lovely Christmas present!). Look out for a 'baron rating' for these Salopian Brewery beers soon, and a big thank you to Jake (@SalopianBrewery) for sending them through to me!